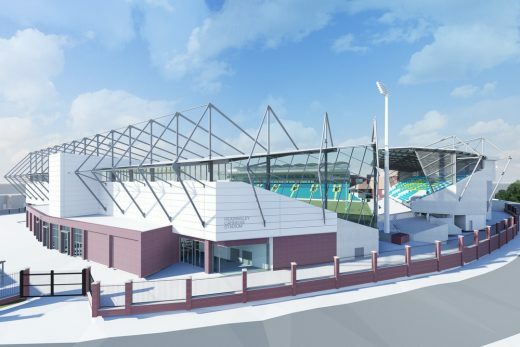 Construction of this innovative building has started on site. 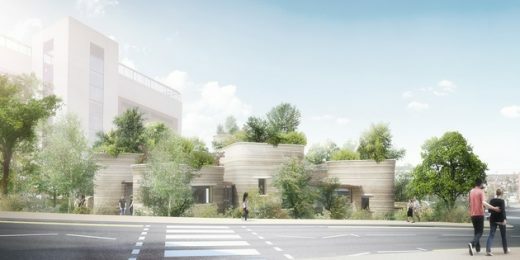 The Centre’s design consists of a series of contained gardens that will capture the therapeutic effect of plants and contrast with the more formal surrounding hospital buildings. 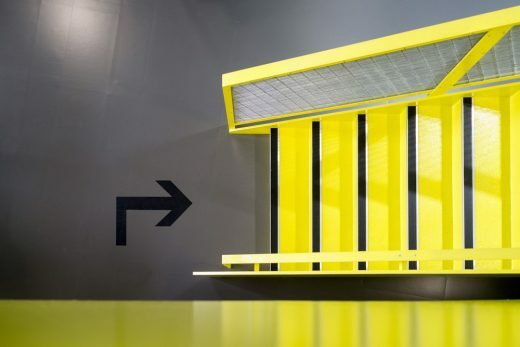 The design will create a warm, informal interior space as well as an inspiring exterior to encourage positivity among Centre visitors and passers-by. 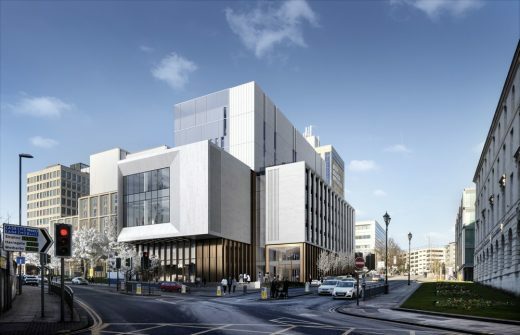 Work has begun on Leeds Beckett University’s £80m Creative Arts building – a new hub for creative education in the city. A ground-breaking ceremony for this state-of-the-art facility took place at the ened of January. It will be home to the university’s School of Film, Music and Performing Arts, plus the fashion department. It will be packed with specialist facilities including a performance theatre and 220-seat Dolby Atmos movie cinema, as well as specialist studios for fashion, music, film and television. 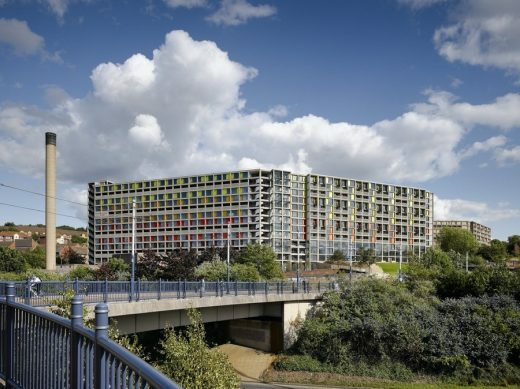 The transformation of the Park Hill Estate is entering a new phase. To launch Phase 3 of the Estate’s regeneration, award-winning urban regeneration specialist Urban Splash has teamed up with student accommodation developer, Alumno Developments, to create accommodation for circa 350 students, new shops and facilities. 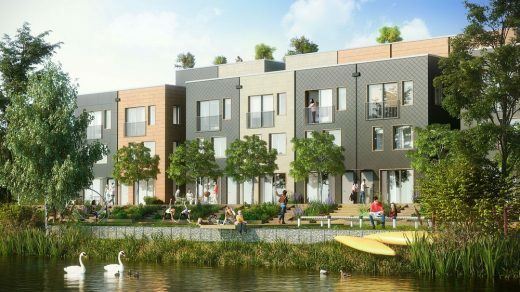 Sustainable	urban	developer	Citu has unveiled the first CGIs and	detailed designs	for	its	groundbreaking	Citu	Home –	a	new	timber	framed	housing	system	which	will create	one	of	the	mostairtight	and	energy efficient homes	in the	world. Victoria Gate wins the Retail Project of the Year at the World Architecture Festival in Berlin (WAF). 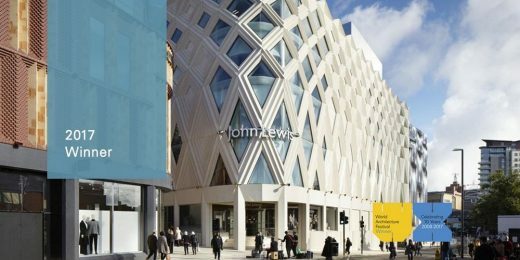 The retail outlet won two awards earlier in the week at the Brick Awards 2017. 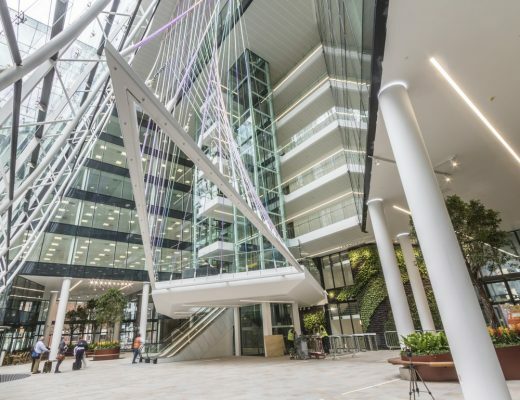 By taking a three stage approach to sustainability – passive, active and renewable – a spectacular new office and leisure complex in Leeds is demonstrating how investing in a highly sustainable and innovative speculative building adds to market value and successfully attracts high profile tenants keen to champion their own sustainability agenda. The aim of the project was to upgrade the museum building to meet modern curatorial standards, encourage visitors into the ruins, and improve facilities. 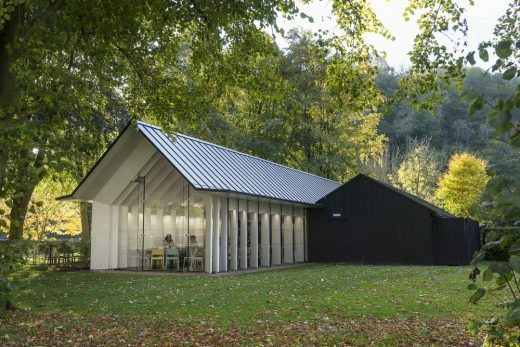 A glulam spruce central hall has been inserted into the existing L-shaped timber visitor centre.